Finance Minister Arun Jaitley said the special scheme will be implemented to support the efforts of the governments of Haryana, Punjab, Uttar Pradesh and Delhi "to address air pollution and to subsidize machinery required for in-situ management of crop residue". Finance Minister Arun Jaitley budget speech announced a scheme that could improve quality of air. NEW DELHI: Finance Minister Arun Jaitley's budget speech today held a ray of hope that Delhi may be able to breathe easy next winter. Mr Jaitley said the central government will come up with a special scheme to subsidize machinery to let farmers use the crop stubble rather than burn them. "Air pollution in the Delhi-NCR region has been a cause of concern." Mr Jaitley said as he spoke about the scheme. 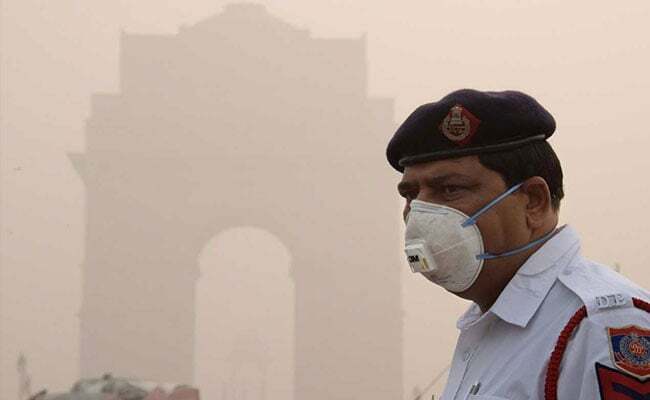 The announcement is a departure from the centre's hands-off approach that it had adopted through most of last year starting Diwali when the national capital turned into what called a "gas chamber", a reference to the grey, toxic smog that hung low across the region through the year-end. Much of this air pollution was attributed to farmers in north India, particularly in farms where crops were harvested using machines, burning the crop stubble that was left behind. It is against the law but farmers have argued that it was still worth the risk, and the penalty. As Delhi suffocated, Chief Minister Arvind Kejriwal had travelled to Chandigarh to meet Haryana Chief Minister Manohar Lal Khattar and Punjab Chief Minister Amarinder Singh as well to discuss a way out. He could only meet Mr Khattar. The Punjab Chief Minister insisted that it could not deliver a lasting solution and needed the centre to help with money to buy machines that can clear the crop residue and process it. Mr Jaitley said the special scheme will be implemented to support the efforts of the governments of Haryana, Punjab, Uttar Pradesh and Delhi "to address air pollution and to subsidize machinery required for in-situ management of crop residue".